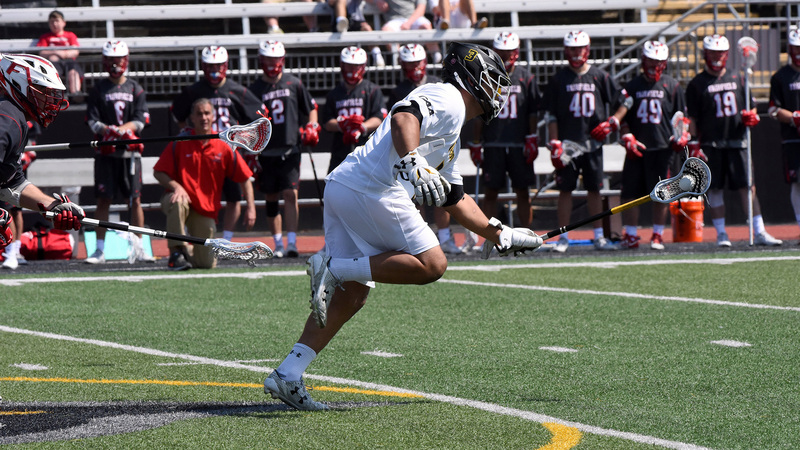 Boston, MA - (February 11, 2019) - Major League Lacrosse (MLL) takes a look into draft prospect and Towson faceoff specialist, Alex Woodall. Towson University is a public university in Towson, Maryland. The Tigers men's lacrosse team was founded in 1958. The Tigers were a Division II team from 1974-1979. They have appeared in the NCAA tournament 14 times, have made the Final Four 4 times, and were the NCAA Tournament champions in Division II in 1974. Their current coach is Shawn Nadelen. Preseason active rosters in Major League Lacrosse feature Tigers such as Jack Adams (Chesapeake Bayhawks) and Sid Ewell (Florida Launch). Alex Woodall is likely to join the ranks of these Tiger standouts. Woodall is from Annapolis, MD, where he attended St. Mary's High School. Woodall started his college career at High Point University, but opted to move back to his home state of Maryland and transfer to Towson University his sophomore year. Since becoming a Tiger, Woodall's accolades have been extensive. He has been named First Team All-CAA, CAA All-Tournament Team, Preseason Inside Lacrosse Media All-America and he has won more than 60% of the faceoffs he has taken. In the Tigers' home opener versus Johns Hopkins this past weekend, Woodall won 21 of the 28 faceoffs he took against the 4 Jays he faced. His level of play will likely capture the attention of MLL general managers and coaches leading up to the 2019 MLL Draft presented by Cascade. Tune into Lax Sports Network on March 9 at 7pm to see if Alex Woodall will be one of the 63 players to be selected in the 2019 MLL Draft presented by Cascade.